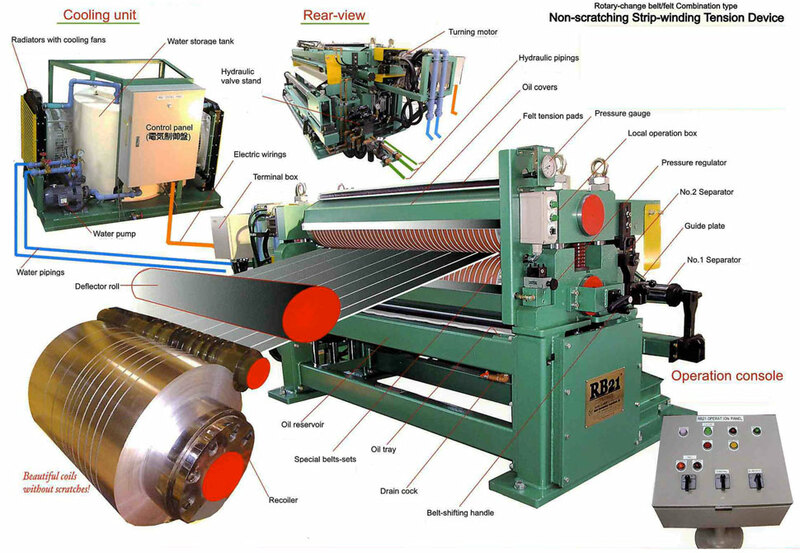 RB21™ is a very flexible tension unit because of the exclusive interchange concept of belt / felt tension system operated by a motorized 180 degrees rotary change unit that quickly allows to change the processing of materials from delicate to un-delicate coils. 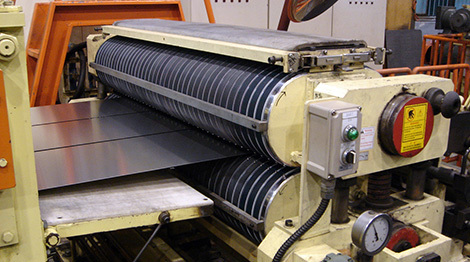 RB21™ is the perfect machine for the coil centres. 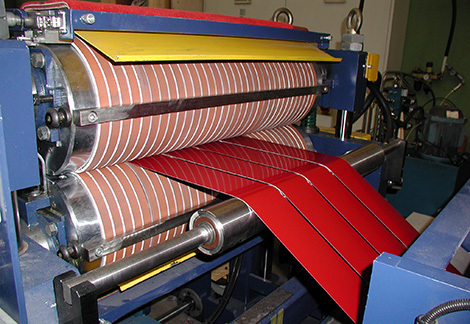 The belt tension device and the felt tension device are assembled together as a mono-frame shape. 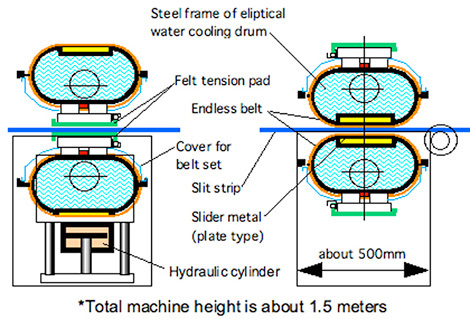 The belts are set around the cooling water drums respectively upper and lower side, avoiding the use of pulleys. The braking tension is easily controlled by a pressure regulating device which is connected to 2 hydraulic cylinders located in the stand structure to give a pinching force to the upper and lower mono-frame.